LAS VEGAS ― Inspired. 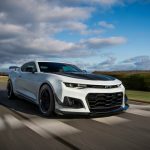 That’s how Chevrolet designers want Gen 6 Camaro owners and other enthusiasts to feel when they view the all-new 2017 Camaro SS Slammer concept. 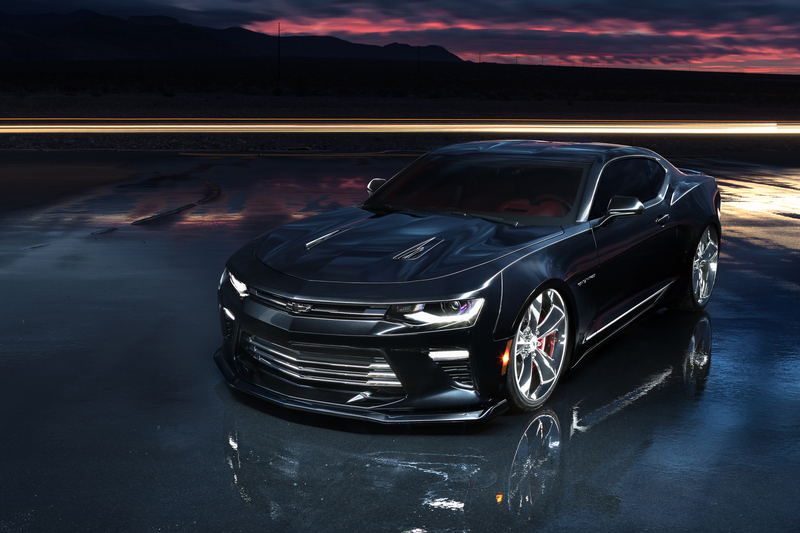 It’s a customized vision of the sixth-generation Camaro, with expressive cues, one-off custom features and an asphalt-hugging stance made all the more dramatic by its Dazzling Black exterior. 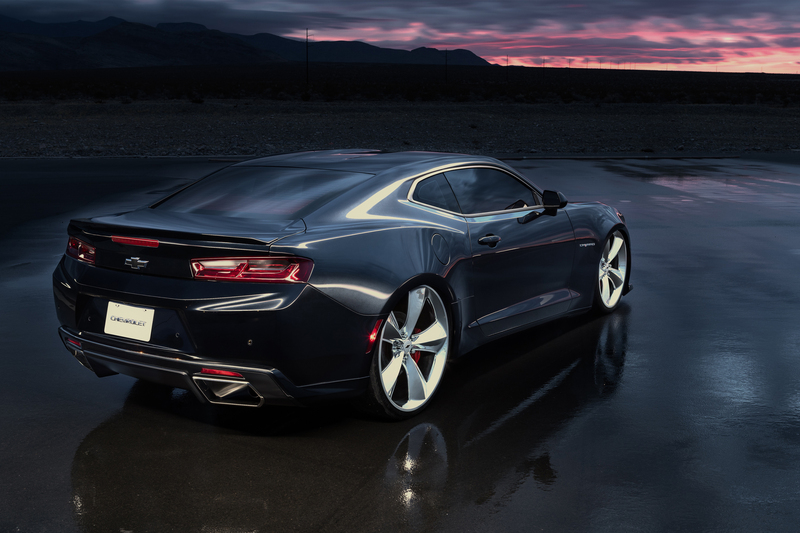 Influenced by contemporary hot-rodding trends, the Camaro SS Slammer’s low-slung stance is set off by custom 22-inch front and 24-inch rear chrome wheels. The Camaro’s body was modified to accommodate the large rolling stock, which measure 245/30R22 in front and 275/25R24 in the rear. An air-adjustable suspension helps deliver the slammed stance. The dramatic appearance also incorporates a number of Chevrolet Accessories, including a ground effects kit, black bowtie emblems and Camaro fender badges. The headlamp and taillamp lenses are tinted. The Dazzling Black exterior color is the result of a unique tri-coat process that incorporates gloss white flakes to add depth and sparkle when viewed from different angles. It also contrasts strikingly with the car’s Adrenaline Red interior. 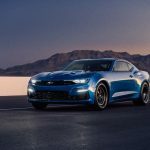 The Camaro Slammer’s power comes from the LT1 6.2L V-8 rated at 455 horsepower and 455 lb.-ft. of torque, matched with the six-speed manual transmission with Active Rev Match. For better engine breathing and a deeper growl, Chevrolet Performance’s axle-back, stainless steel exhaust system was installed. It reduces backpressure up to 25 percent over the stock system, while offering a great performance sound and premium appearance, including polished 4-inch tips. An Active Noise Cancellation calibration is also included for vehicles with the Bose® audio system. It is tuned to let the exhaust growl come through loud and clear, while eliminating undesirable drone. 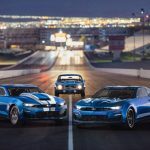 The Camaro Slammer joins approximately 20 additional Chevrolet models at the SEMA Show. Follow the action at ChevySEMA.com, #CHEVYSEMA, @ChevroletPerformance on Instagram and Chevrolet Performance on Facebook.